The more I learn about the human brain, the more fascinated with it I become. I say the more I learn, but it would be more accurate to say the more I read about what researchers are learning, because the progress being made in understanding how our brains work is moving along with an giddy swiftness. 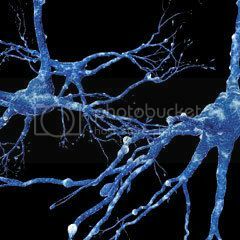 Of particular interest to me of late is the set of phenomena known as neuroplasticity. Wikipedia defines this term as "the changes that occur in the organization of the brain, and in particular changes that occur to the location of specific information processing functions, as a result of the effect of experience during development and as mature animals." As I put in in another article, our brains make our thoughts, but our thoughts also make our brains. And it's not just our thoughts, but our experiences, that in effect rewire our brains. Consider the case of a newborn gazing at the smiling face of her mother. Something profound and lasting is taking place at that very moment. The brain of the baby girl is being arranged in such a way that her mother's face is imprinted there and the pattern of that face is being imbued with a powerful emotional significance that will last a lifetime. That's a happy effect of our brains' plasticity. But negative, traumatic experience also affects our brains' wiring. Instead of the happy scene of a baby girl in the loving arms of her devoted mother, picture her in a crib, awaking to the angry tones of her mother's and father's shouts as they verbally assault one another almost without respite. Even worse, consider the effects of physical and sexual abuse on a young child's brain. Those events in our lives are not just memories. They have caused our brains to be wired a certain way. When I think about who I am, the ways in which I respond to the circumstances and people I encounter day to day, the patterns of thought and behavior, both good and bad, that I manifest on a regular basis, I am understanding that the experiences and thoughts of my past have made real, physical changes in my brain that have a lot to do with the qualities that comprise my consciousness, my personality. To get to the good news. Our brains seem to retain their plasticity, to a large degree, even in later life. It also appears that its plasticity can be enhanced and preserved by continual learning as we grow older. This plasticity doesn't necessarily make it easy or simple to re-wire those less helpful aspects or our personalities or habits, but it does make it generally possible. Again, to quote from the aforementioned article: "The main thing to know is that even the adult brain is not "hard-wired" with fixed and immutable neuronal circuits." It seems to be the case that practice and repetition in thought and action can indeed re-wire the brain and enable us to change the way we think and behave. This understanding may also add weight to the saying, "Train up a child in the way he should go, and when he is old he will not depart from it." From a fellow thinker/random guy somewhere, I find thoughts on this subject crucial in a whole change in awareness of the capabilities of the brain changing itself, or certain parts of the brain, triggering a change in the whole. I think I saw show on Discover about the brain of taxi drivers in London. In short, because they are forced to learn massive unnatural (compared with other mere humans) information, spatial info so on, their brain physically changed to the extent that it differs from other peoples brain.